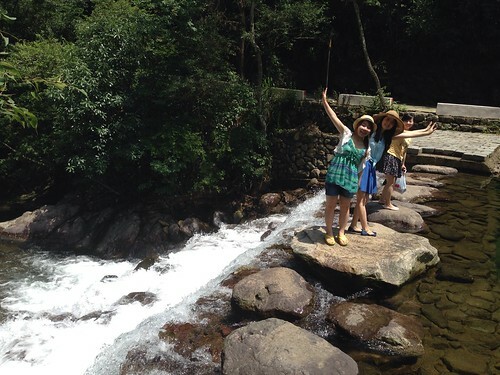 Last week AllSet Learning staff took a team-building trip to the mountains of Zhejiang in Tonglu County (浙江省桐庐县). It was a nice trip, and one of the things that struck me most about the natural beauty there was the lack of litter and crystal-clear water. Anyone who has traveled much in China knows that it’s a beautiful, beautiful country, but disgracefully covered in litter in so many otherwise breath-taking tourist destinations. Not so in Tonglu! 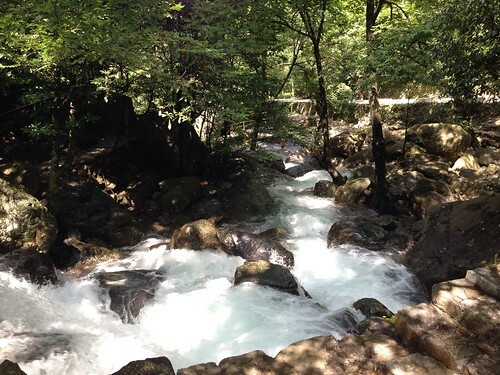 I was also surprised to learn that the locals there drink the water straight from the mountain streams without treating it at all. 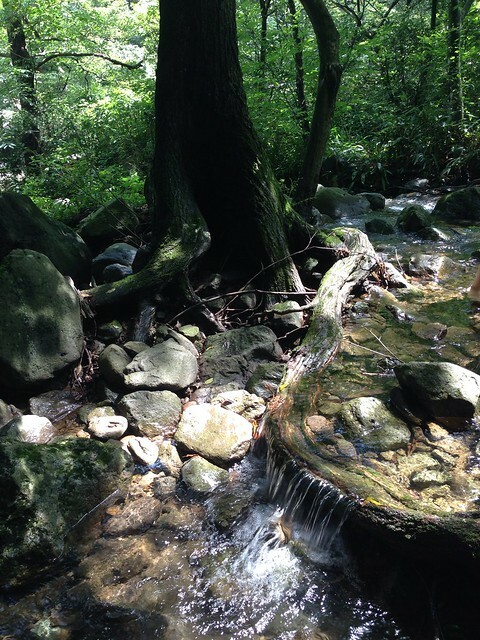 They don’t have “normal” plumbing, it’s all piped from the higher regions of the flowing mountain streams. I have to wonder: with so much of China so heinously polluted, could this water actually be safe to drink? Anyone else want to weigh in with some facts or links? > WHO guidelines say average concentrations of the tiniest pollution particles – called PM2.5 – should be no more than 25 microgrammes per cubic metre. 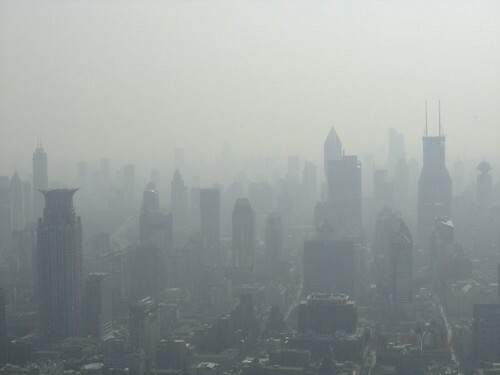 Air is unhealthy above 100 microgrammes and at 300, all children and elderly people should remain indoors. By coincidence, I went outside on Friday night (close to the peak) to pick up some milk at the store. It’s a 5-minute walk to the nearest Family Mart. As soon as I stepped outside into the haze, I noticed that the air smelled faintly burnt. I say “faintly,” but it’s the kind of “faintly” that gets incredibly obvious the more you smell it. Meanwhile, the air just felt grimy. 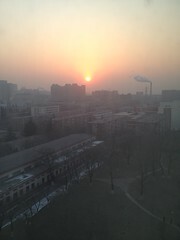 Beijing has had some terrific pollution in its day, but Beijing air tends to stay quite dry. Shanghai, meanwhile, is incredibly humid. It makes summers super sweltering, winters bone-chilling, and smoggy days absolutely disgusting. I’m actually not very sensitive to the pollution, and when people ask me how bad it is, I don’t have a lot to say. It just doesn’t bother me that much. This latest uber-smog, though, got to me. In the 5-minute walk to the store, I started to feel a little queasy. In the 5-minute walk back home, I was feeling sick to my stomach. So yeah, it was really bad. If it was like this every day, or even routinely, I wouldn’t want to live here anymore. I seriously hope China can take effective measures against this horrific pollution. Right now I’m seriously looking forward to my Christmas trip to Florida. Besides the precious family time, I could also use a little lung detox.